A miracle in a can! 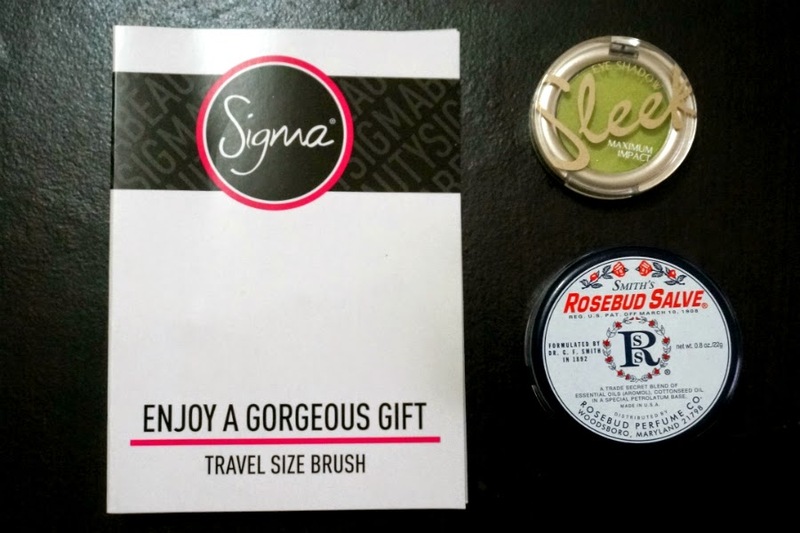 The world famous Rosebud Salve is a favorite among celebrities who love the consistency and emollient texture of this #1 selling lip balm and all-purpose salve for chapped lips, dry skin, and minor burns. Aids in the relief of chapped skin, diaper rash, blemishes, detergent burns and rough cuticles. Can also be used to soften rough hands and smooth lips. Get it HERE. I've been meaning to buy this salve because I've read good feedbacks. I can't justify buying it before but now that my lips are getting chapped and a bit cracked due to the cold, dry weather, I finally have the reason to "Add to Cart". 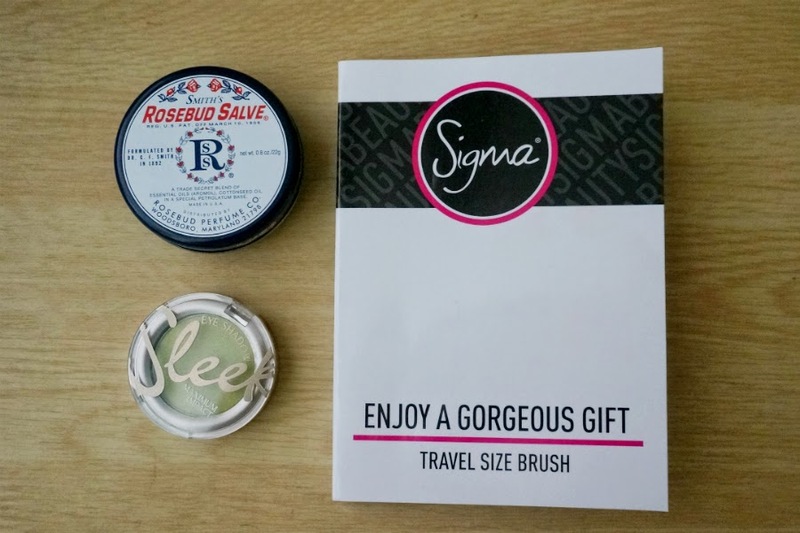 This salve can be used as an all purpose skin balm. Uses a highly pigmented long-wearing powder formula, refined and irresistible shades that will suit all complexions and skin types. I think this shade of green would be perfect to sport when the weather warms up so I'm keeping this stashed until summer. With natural white bristles shaped into an oval-shaped, chiseled brush, the E25 blender is a great blush for both controlled blending and overall eyeshadow application. Its dense brush head helps to blend out edges. 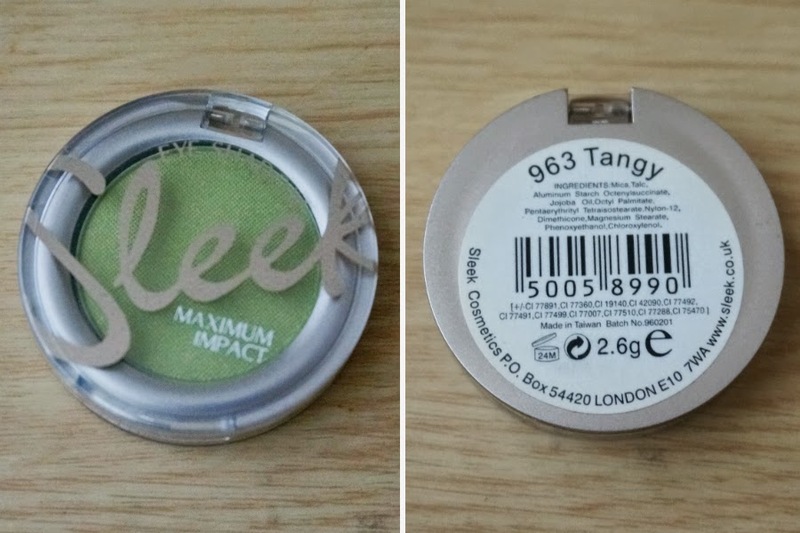 It can also be used to apply concealer under the eye area.Get it HERE. First Impressions: I'm very happy with this purchase. 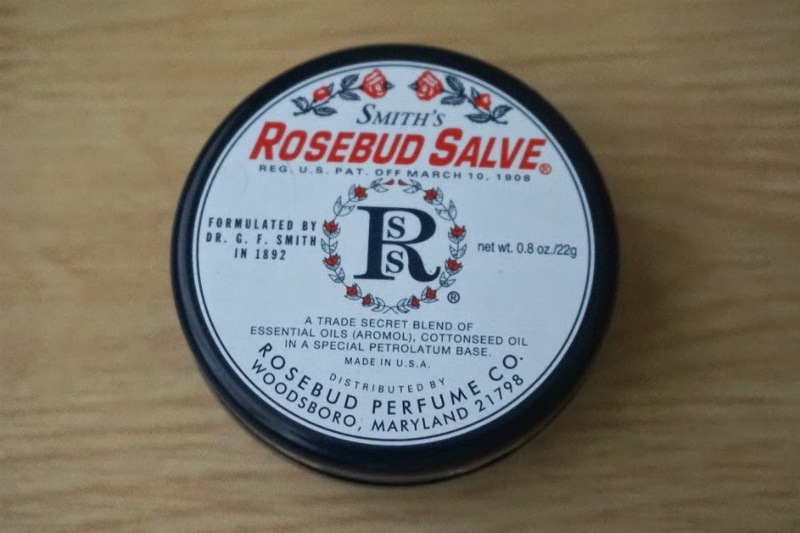 I have been using the Rosebud Salve religiously for more than a week now and my lips are in better condition than before. The cold weather has been making my skin and lips a lot drier than normal so extra moisturizer is needed. 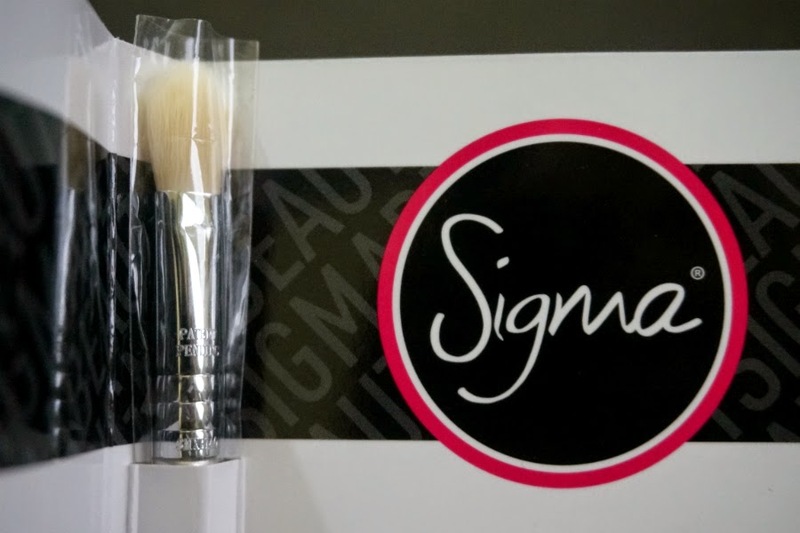 I also appreciated the mini blending brush from Sigma. This is my first foray with the brand and I'm impressed with the quality of the brush - soft and shed-free. 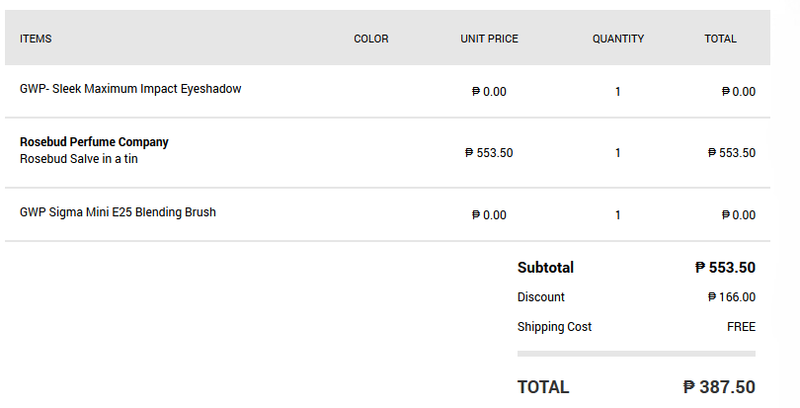 I still think that their brushes are a bit expensive if bought full-priced. Luckily, I got this for free, so I'm not complaining. If you are in the lookout for great products at great prices, I highly recommend Luxola.